Do you love lace? Are you intrigued by the tinkle of the bobbins moving on the pillow? Are you curious about the history of this little known, but widespread art? 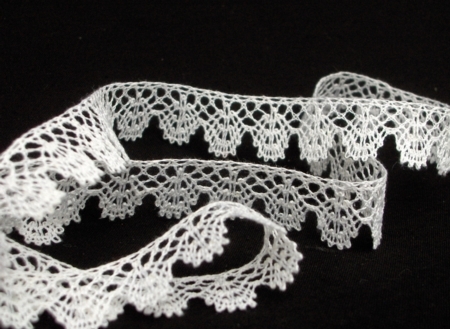 Do you want to carry on a tradition of lace making from you great grandmother’s time? Or are you looking for a creative outlet that results in beautiful, intricate items? Come and join a legacy that reaches back six centuries. Become a lace maker. 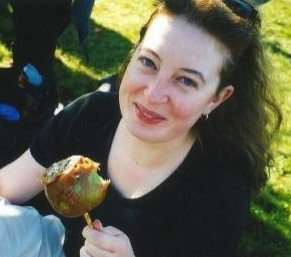 Jay Rudolph completed her academic training, traveled Australia for a year and then settled into life in the corporate world. After two years of spinning in her living room at night and making lace on the weekends, she decided she must pursue her dream of being a textile artist. She graduated from the Textile Arts program at Capilano College and is in the process of a Master Spinner certification from Olds College in Alberta. Jay’s focus is tapestry and woven shibori fabric. She also studies bobbin lace, has the recognition of her peers in that field and now gives workshops privately, through community centres and at conferences. Her motivation is dedication to craftsmanship and attention to detail, which allows her to develop technical excellence with lots of room to explore and experiment.